The closest rum-making tradition that is known in this central area, is located in the current Cienfuegos, in a distillery from the early nineteenth century named San Lino which dedicated to the production of eau-de-vie. That tradition reached in the 70s, and in the same province, the distillery Bodegas Jagua, a facility that suffered a tragic fire that destroyed half of the facility in 1972, and the owners were forced to move the centenarians aging wineries to a former cotton factory that was in Santo Domingo, Villa Clara. There, after long and uninterrupted working hours came to life the current Central Rum Factory. In it, Cubay rums, products that highlight the typical expression of the Sweet Taste of the Center of the Island are produced. 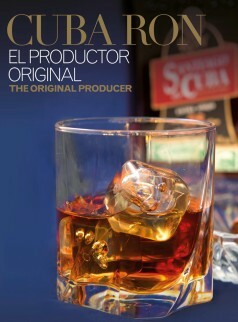 Also, there the tradition of Cuban light rum is preserved, holding the Cuba Protected Designation of Origin (PDO CUBA). It has certified and integrated the Management Systems of Quality, Environment and Safety by ISO 9001: 2008, 14001: 2004 and 22000: 2005; and maintains accreditation of its laboratories by ISO 17025: 2006. It won countless awards for its products and facilities. This factory has launched a challenge to the world of spirits: Cubay Carta Blanca Extra Viejo, the first of its kind with 14 years of rest and 40 ° of alcohol, which preserves the coloring of the rums in its class.